The Xiaomi Mi A1 was one of the best budget phones of last year because it featured stock Android, excellent dual cameras, and superb build quality. It looks like, with every new Android update for the Mi A1, there are new bugs that make us question why Xiaomi cannot provide a bug-free Android update for its Android One device. The Android 8.1 Oreo update for the Xiaomi Mi A1 started rolling out last month, but due to a major bug (the SMS messages got wiped on the installation of update), it was pulled by the company. Now, the update has started rolling out again, this time with a new bug that almost every user is reporting. This new bug is related to the Notification LED. As per the users who updated their devices, the notification LED remains continuously ON after a notification is received. The LED should blink to notify the users about the notification, but it doesn’t. Some users have reported that as soon as the phone hits 14% battery, the Notification LED remains ON until the phone is charged. 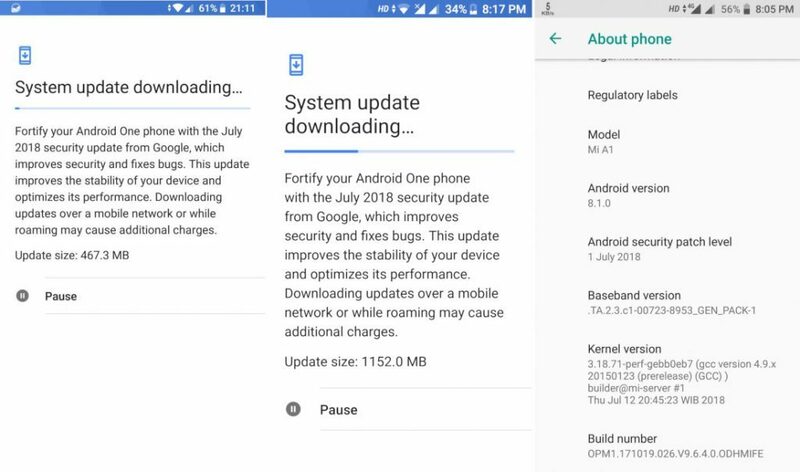 Along with the Android 8.1 Oreo update, the phone is also getting the July Security Patch. We hope Xiaomi will roll out a new update to fix this bug related to the notification LED. If you have the Xiaomi Mi A1 and updated it to Android 8.1 Oreo, do let us know if you are facing the same problem or not.